1.、Configure the router, the router’s account password can be set by the user’s own arbitrary. 2、Power up the device and connect the computer and device over the USB. 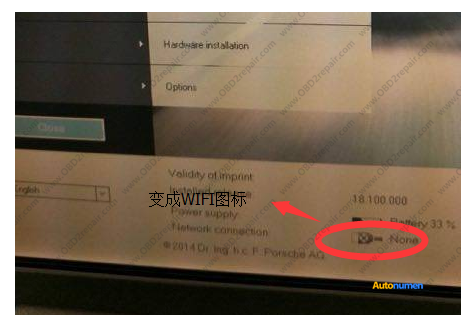 3、Click on computer settings to VCI settings. 4、Click to enter VCI settings. 5、Enter the router’s WiFi account at the SSID below, and enter the WiFi password at the WEP key. Save accept changes. 7、Then click on the WLAN and click Search. 8、In the box below, select the router you just set up, then enter the WiFi password, click Save, and wait a while to click Close.